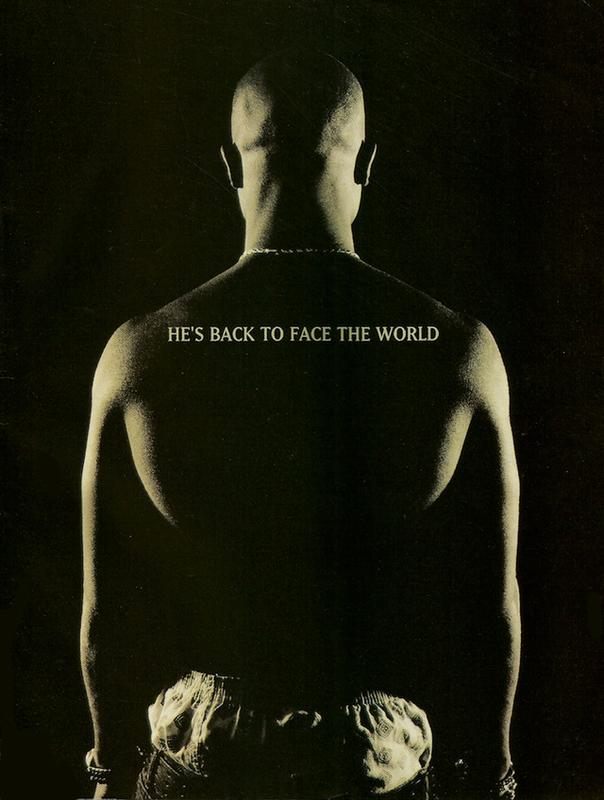 'Me Against The World' was 2Pac's third studio album. It was released on March 14, 1995 and featured 'Dear Mama', 'So Many Tears', 'Old School,' and other standout tracks. 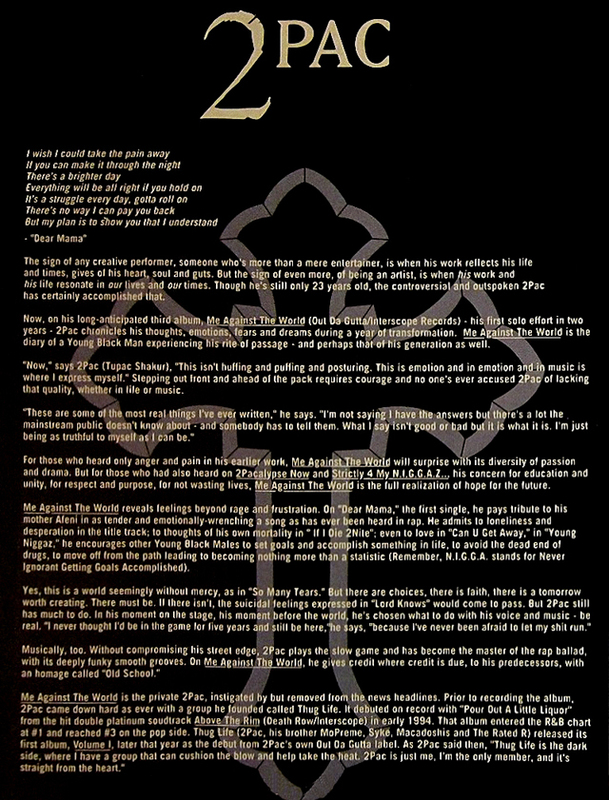 Above (and below) is the original press kit, which includes quotes and information about the release. In 2Pac's words "These are some of the most real things I've ever written ... I'm not saying I have the answers but there's a lot the mainstream public doesn't know about - and somebody has to tell them. What I say isn't good or bad but it is what it is. I'm just being as truthful to myself as I can be." 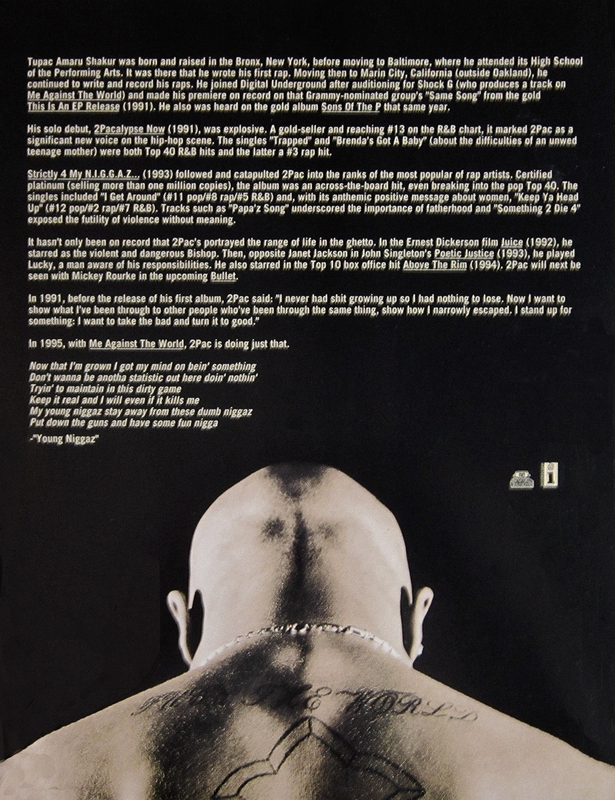 I've discussed the lead single 'Dear Mama' in a past post, which you can find via the labels below, but to summarize: 2Pac is definitely one of the most impactful artists of our culture, so it's noteworthy that he felt an obligation to be a voice for the voiceless. The album is now almost as old as 2Pac was when he recorded it, think about that when you listen to it. "Now that I'm grown I got my mind on bein' something / Don't wanna be anotha statistic out here doin' nothin' / Tryin' to maintain in this dirty game / Keep it real and I will even if it kills me / My young brothaz stay away from these dumb brothaz / Put down the guns and have some fun brotha..." Read the entire kit for more info. Labels: 2Pac, Adverts, Nostalgia, Press Kit, R.I.P.